Description : The genus is named from two Greekwords, syn., ‘joined ‘and gone, ‘the womb’, the ovaries are joined together. A genus of 20 species of climbing plants, native of central and tropical America and the West Indies. Syngonium is popularly known as the ‘goose foot plant’ because of the shape of its three-lobed leaves. Several species and varieties are attractive and easily grown aroids, produce aerial roots from node. Grow Clean Air Benefits: Syngonium have a relatively high transpiration rate and therefore are a good choice for increasing humidity within a room. This plant removes the following Volatile Organic Compounds( VOC's) Benzene, Xylene and toluene. COMMON NAME: SYNGONIUM PODOPHYLLUM WHITE. 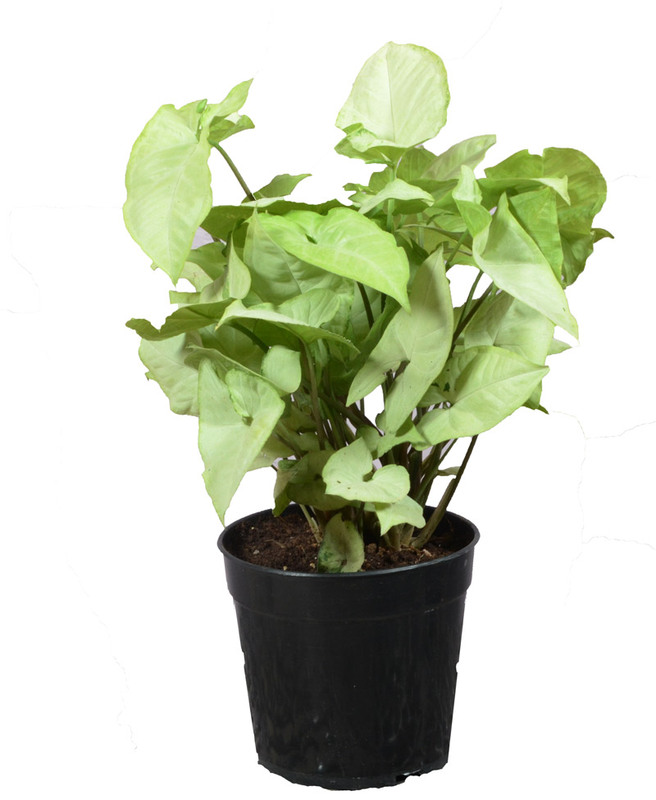 BOTANICAL NAME: SYNGONIUM PODOPHYLLUM ‘ASTROVIRENS’ A well shaped attractive plant. Leaves hastate, shaded ivory to greenish white, margin green.